Using a mobile devices in business is starting to take on a life of it’s own, but in a great way. Connecting with lots of people globally who are interested in how to run their business via their mobile device whether it is a smartphone or tablet. One of those individuals is Benjamin Robins (from the US) who used only his smartphone for 1 year. The series was entitled ‘Mobile Only’ and was covered by the Guardian Newspaper in the UK. I just connected with Ben yesterday on Twitter and have just finished chatting to him via ‘Skype on the iPad’. Love the power of Twitter for global connections or my #PLN (Personal or Professional Learning Network). I usually use ‘Tweetdeck’ for iPad just as I find this handy for checking across the many columns I have. Part of this research as a ‘Tech Coach’ is to be on the constant lookout for new trends for mobile devices in business, trends in educational technology and gadgets. I often curate content in Pinterest first (with having a very descriptive title for my Pinterest boards) and then go off and research the material. Part of the ‘digital decluttering’ philosophy I have is to create boards first and then ‘pin’ the ideas otherwise I find they end up in generic categories. I have been running Pinterest workshops (see Tech Coach HQ’s website) and sharing how I not only curate content for myself but for those who I engage with. My latest discovery is Voice Byte by Australian creators Michael and Stephen Fenech. They both wanted a social media platform where they could share audio content (and keeping it to 15 seconds) via Twitter and Facebook. 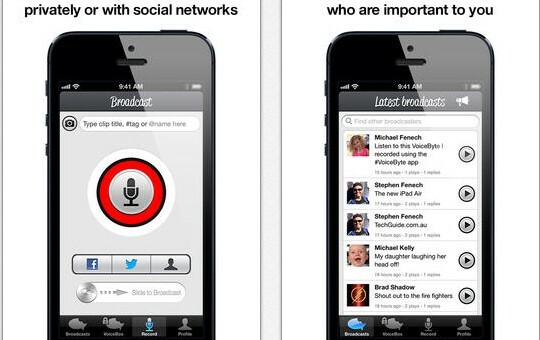 You can also upload photos with this ‘Voice Byte’. For me, for Tech Coach HQ it’s not only vital to have my brand represented via consistent images but it’s also important that knowledge is shared (and what better way to share it via audio). Running a small business can be a challenge for anyone, especially those who do not have a background in business or finance. I have found 3 apps that are an absolute must for anyone who is either a sole trader or a SME. These are all by the Australian Securities and Investment Commission to help business owners and they are all free. They are available for both Android and iOS users. 1. Track My Spend: Tracking how much you spend is vital when using a mobile device in business. It’s sometimes the little things that you don’t actually realise that you are spending the money on that can catch you out (software sometimes can be my biggest downfall) but have been tracking each time I purchase a new app/software. It is available for both Android and iPhone. 2. Money Smart Financial: Put out by ASIC, this app helps you work out how much money you will need for different loans, as well as a savings calculator, mortgage calculator, super calculator and an interest free calculator. 3. Money Health Check: This app provides you with a personalised assessment of the financial health of your business. It also gives a list of ‘Your top 5 actions’ – the most important things you can do to improve your personal finances, with tips for each one. To get the results you will need to register and then details can be accessed online. Like with anything, the full version of this software is available online. 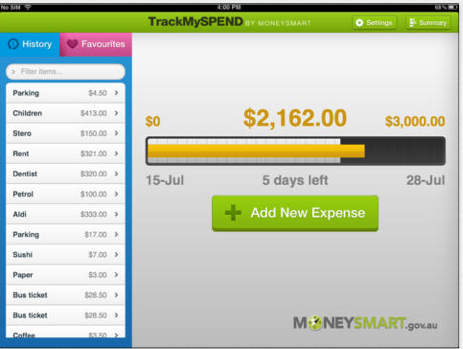 What Android or iOS apps do you use to manage your personal finances or business finances? Share in the comments. If you missed the link from Smart Company (Article on Tech Coach HQ), click here. Take care, and remember always take ‘one byte at a time’. From the ‘Tech Coach HQ‘. Click here for Day 5 of the Blog Challenge. I have been using iBank. 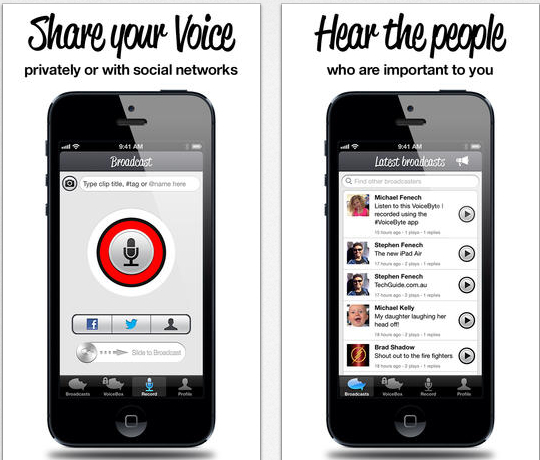 I have the full version installed on my Mac, the App versions on my iPhone and iPad. They sync over wifi. The Mac version is the most comprehensive, the iPhone version is simple to use, but not as detailed and the iPad version lack a lot!